Samsung has announced that its Galaxy S range of smartphones has surpassed 9.3 million sales, putting it within touching distance of the 10 million unti estimate the company made just months ago. At the beginning of the month we reported that 2.3 million Galaxy S handsets had been sold in South Korea, this made it the first smartphone to sell two million units in the Korea, according to The Chosunibo. Worldwide, the Galaxy S is on track to become the first Android handset to reach the 10 million unit mark by the end of this month, with currently 9.3 million units sold as of December 17. 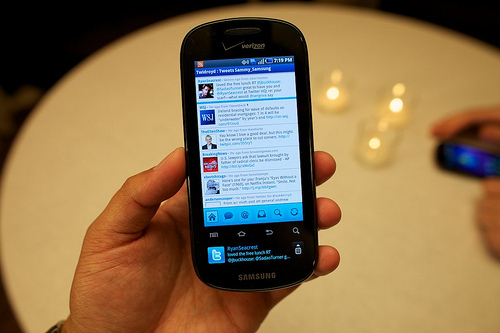 In comparison, the iPhone 4 reaches 14 million global sales in October, demonstrating Samsung’s worldwide popularity as a smartphone manufacturer. Samsung has sold over 3 million units in the US alone, it is expected that North America accounts for a large percentage of the worldwide sales.